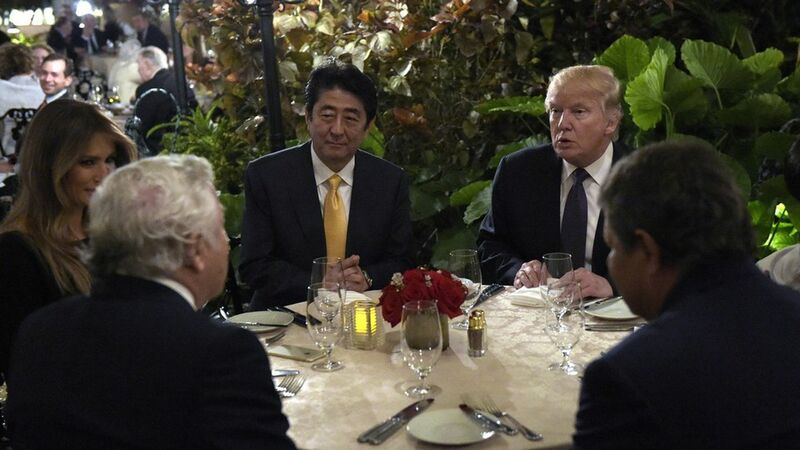 The White House said Trump and Shinzo Abe did not discuss or display classified information at the dinner table at Mar-a-Lago after the North Korean missile launch. Sean Spicer said it was "literally a discussion of logistics" for the press conference on North Korea, according to the AP. Why this matters: Other guests at the resort were in the same dining room during dinner and one diner put pictures of Trump and Abe discussing the launch on Facebook. Pictures also showed aides using flashlights on their phones to highlight documents on the table, which could have led to classified information about the missile launch being captured by hackers.